Dylan’s been going to the library since he was tiny. It’s always been a place full of anxiety. Too quiet, too much attention to behaviours and too many tall aisles to get lost down. The younger two have always seen the library of a place of learning, knowledge and information. It’s strange how two people can see the same thing so differently. Dimensions have a new campaign to make libraries ‘autism friendly’. Which is an excellent idea. Every year the library do a reading challenge where a child endeavours to read six books of their choosing within the six weeks summer holiday. After reading each book they visit the librarian seated within a speacial little nook to discuss the highs, lows and lessons learnt from their chosen read. Josh and Grace have repeatedly year after year completed the reading challenge but this year is Dylans first year. 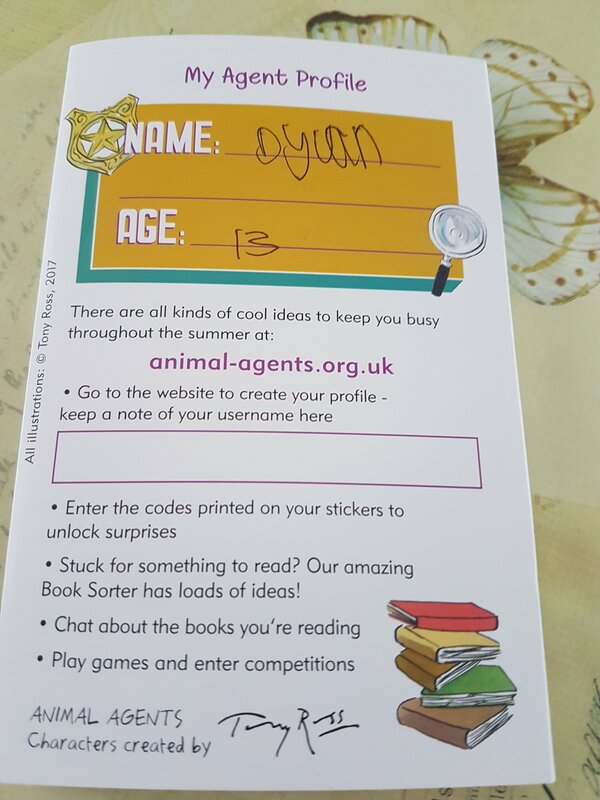 It took a while for Dylan to understand what the librarian was asking him of the book but with time and gent lesupport from Dad he was able to complete the first element of his reading challenge by answering the librarians questions. Reading challenge 2017; Its different but its do-able.